This space was designed to represent the floorpan of a traditional southern home. 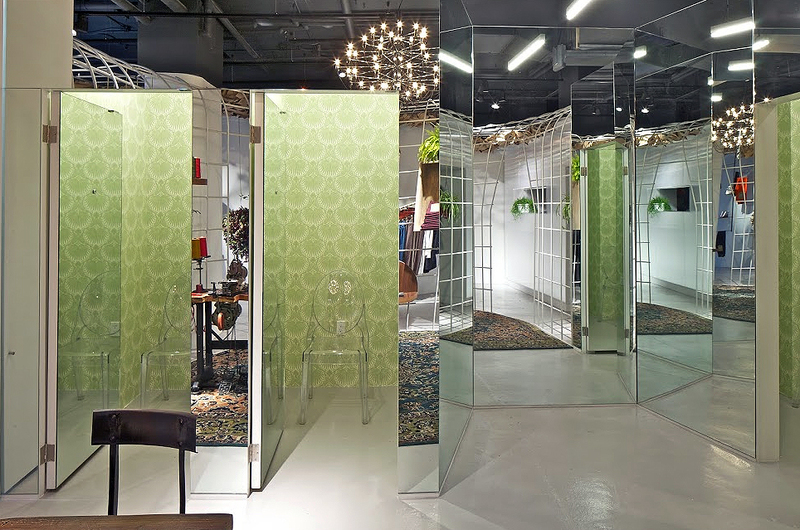 The metal frame was built inside the store, cut into 9' x 9' sections, powder coated offsite and then reassembled. We worked with OMA to develop a hanging system that allows the display casework to be mounted in any location on the grid. If you look closely, you will even find a rotating ferris wheel that functions as denim storage inside a deep and narrow cabinet.